The change results from a company-wide effort to consolidate numerous operating identities and logos – including “Associated” – into a core brand: Associated Bank. The move is designed to focus the company’s identity as a valued partner offering a comprehensive suite of financial services. The move to Associated Bank on other signage, digital channels, and numerous printed materials throughout the company’s three-state foot print will be phased in over several months to manage cost efficiencies. According to the company, the Associated Banc-Corp holding company name will continue to be used for appropriate legal, contractual and investor purposes. 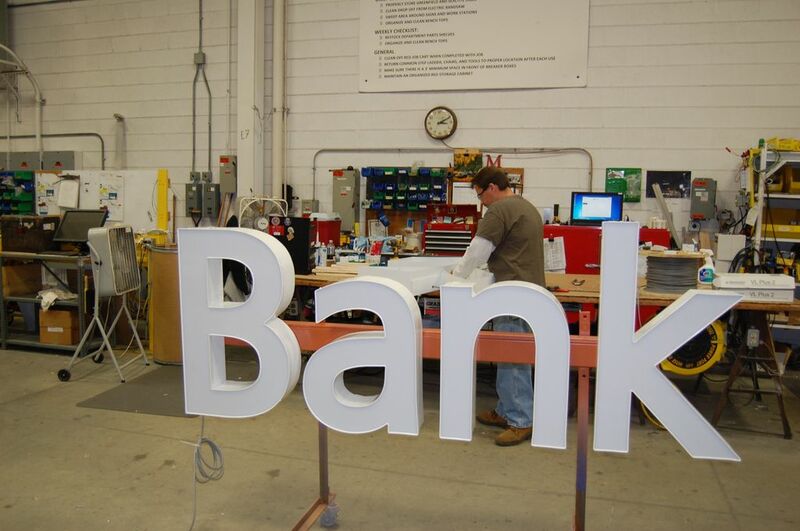 Photo caption: Sign maker puts finishing touches on new signage planned for Associated Bank’s headquarters building on Main Street.